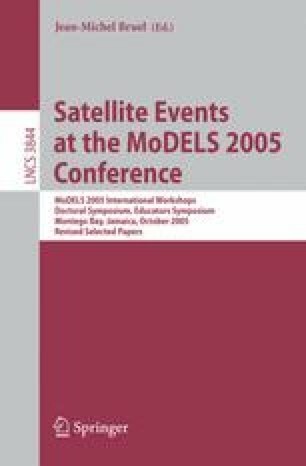 This report summarizes the outcome of the 7th Workshop on Aspect-Oriented Modeling (AOM) held in conjunction with the 8th International Conference on Model Driven Engineering Languages and Systems – MoDELS 2005 – in Montego Bay, Jamaica, on the 2nd of October 2005. The workshop brought together researchers and practitioners from two communities: aspect-oriented software development (AOSD) and software model engineering. It provided a forum for discussing the state of the art in modeling crosscutting concerns at different stages of the software development process: requirements elicitation and analysis, software architecture, detailed design, and mapping to aspect-oriented programming constructs. This paper gives an overview of the accepted submissions, and summarizes the results of the different discussion groups.